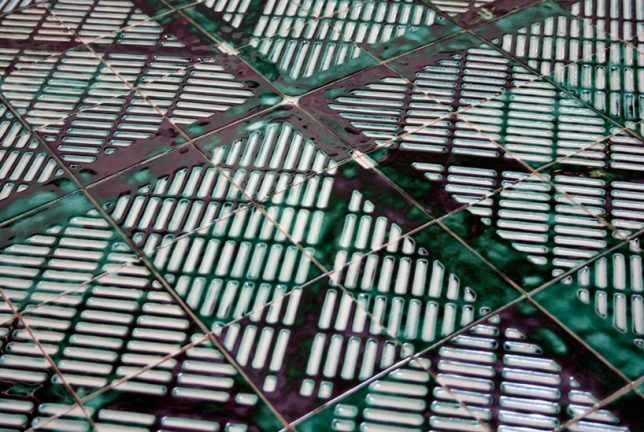 With a history of use in human structures dating back to the 13th century BCE, decorative tilework has adapted along with our tastes and manufacturing abilities to become even more beautiful and versatile than ever before. 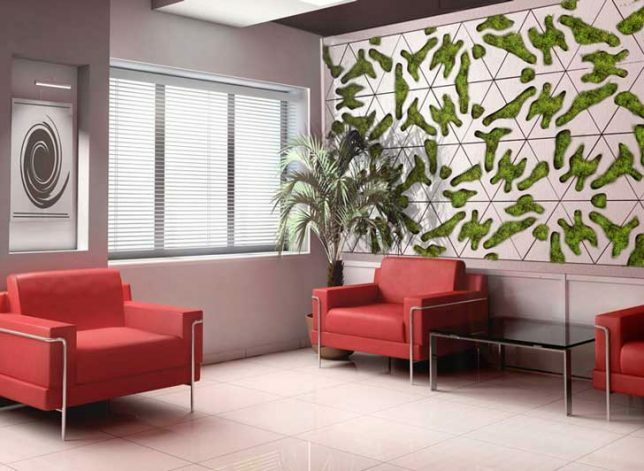 Moving beyond colorful mosaics into the minimalism and multipurpose-loving 21st century, these beautiful and often surprisingly innovative modern-day spins on the age-old wall and floor covering expand into 3D textures, color-changing abilities and unusual materials. 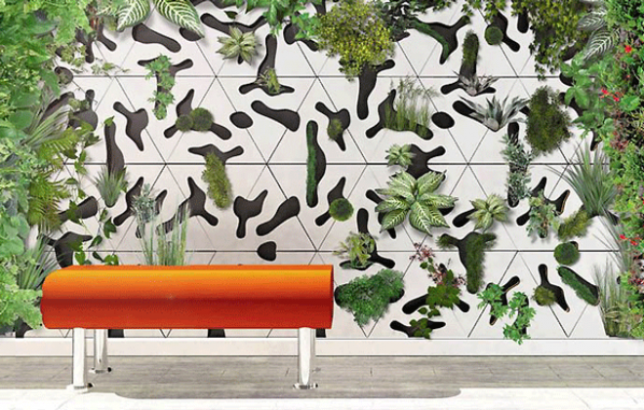 These modular concrete tiles are designed specifically for vertical use on a wall, full of irregular organic cutouts that are ready to be planted. 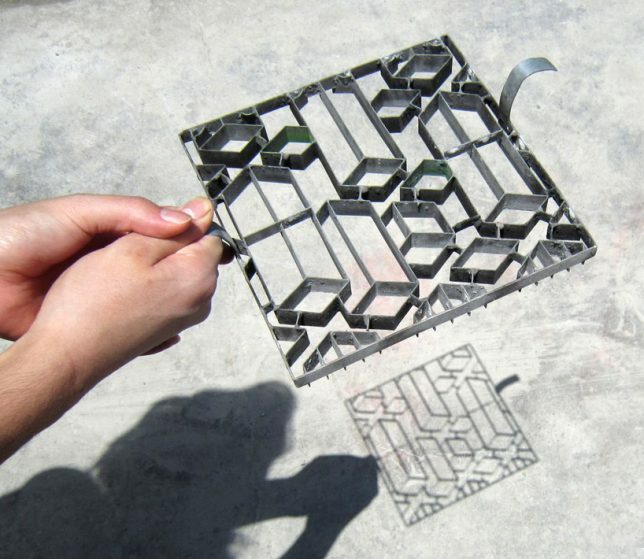 The triangle-shaped tiles by French designer Benjamin Pawlica can fit together in different ways to create mini planters of various sizes, and look cool even when there’s no greenery installed. 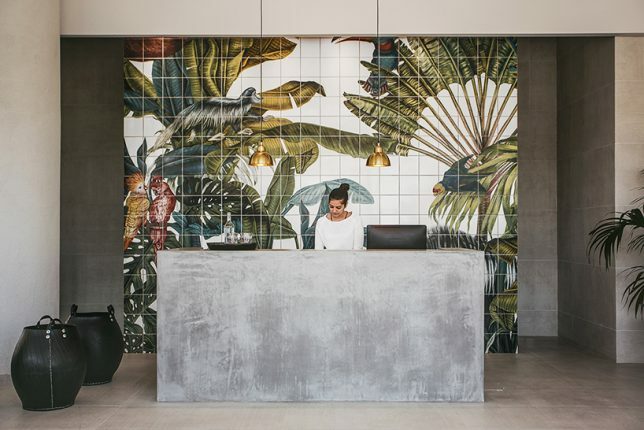 Sometimes, the biggest impact is still made in a more conventional way, like this gorgeous series of murals painted onto the tile surfaces of Casa Cook Hotel in Greece. 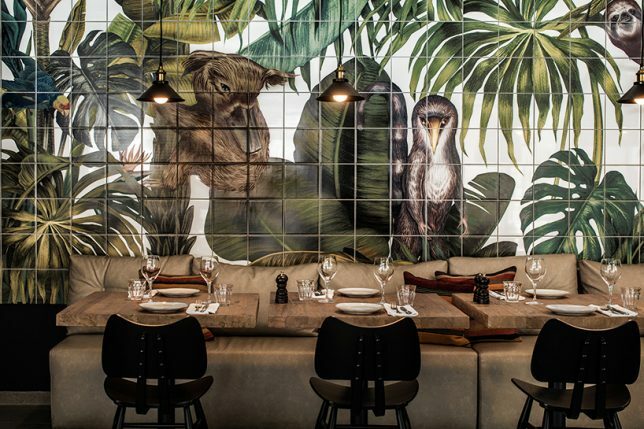 Artist Karina Eibatova created a custom jungle scene full of exotic animals and lush greenery, contrasting with the neutrals of the hotel decor. 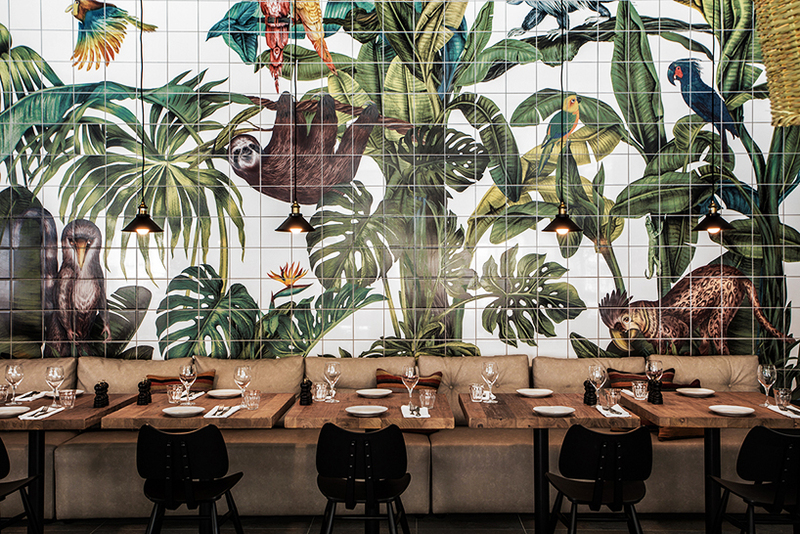 Hot water or even the touch of your hands and feet make these tiles from Moving Color shift hues, making any environment where they’re installed a dynamic, constantly changing space. 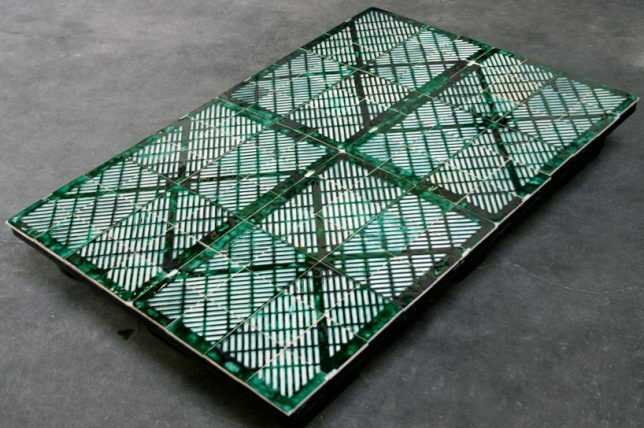 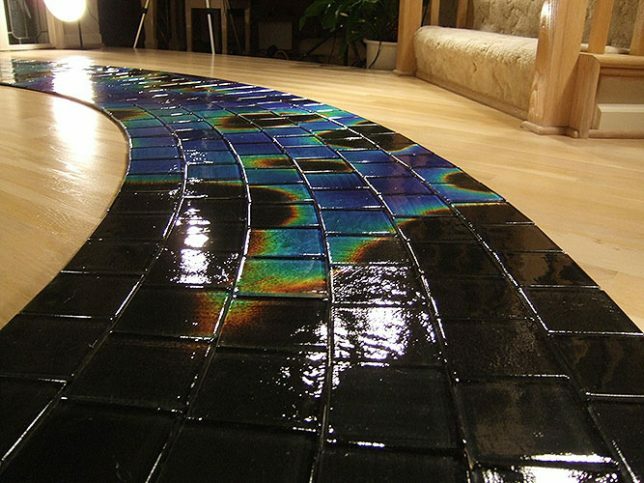 Made of 20-80% recycled materials, the tiles change color in gradual steps through the color spectrum as they warm up for an iridescent rainbow effect. 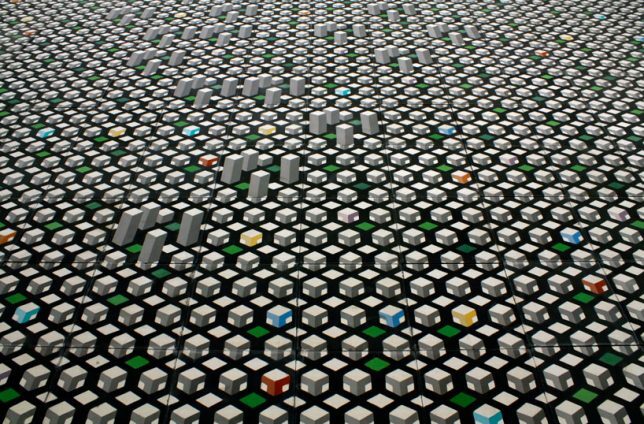 Inspired by Mexico City’s landscape, Nel Colectivo’s ‘Cuidad Tiles’ contain skyscraper-like elements that jut out from the urban grid. 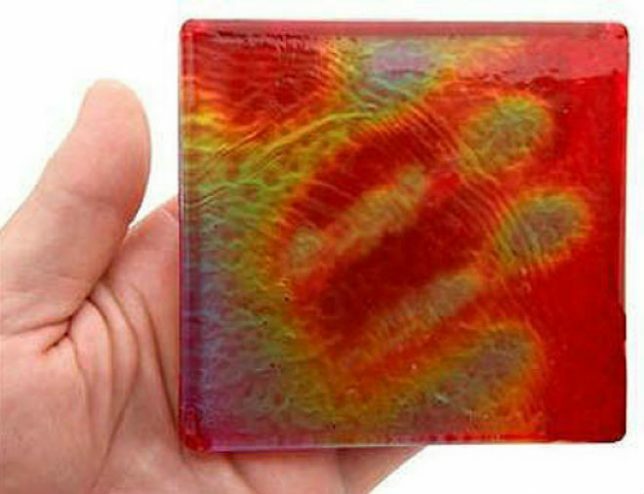 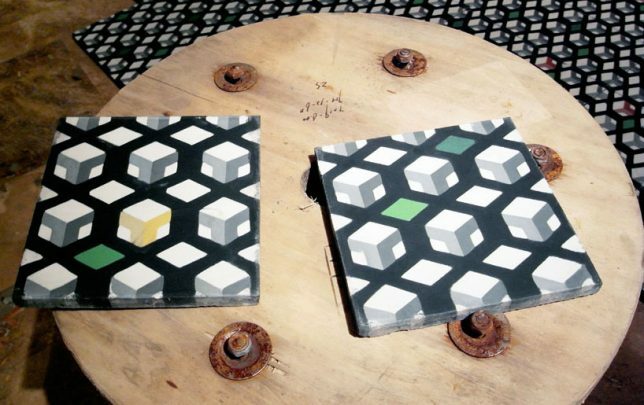 The tiles are made from fine-ground marble dust set in a cement mold using a hydraulic press, and some are different from others to create a varied, city-like pattern when put together.